WASHINGTON — The clash over free trade in North America has long been fought over familiar issues: Low-paid Mexican workers. U.S. factories that move jobs south of the border. Canada's high taxes on imported milk and cheese. The president's proposed replacement for the 25-year-old North American Free Trade Agreement is meant to win over Democrats by incentivizing factories to hire and expand in the United States. Yet the pact would also give pharmaceutical companies 10 years' protection from cheaper competition in a category of ultra-expensive drugs called biologics, which are made from living cells. "This is an outrageous giveaway to Big Pharma," Rep. Rosa DeLauro, a Connecticut Democrat, said in an interview. "The government guarantees at least 10 years of market exclusivity for biologic medicine. It's a monopoly. It's bad policy." Rep. Earl Blumenauer of Oregon, the new chairman of the House Ways and Means subcommittee on trade, told The Associated Press that "I don't think candidly that it passes out of my trade subcommittee" with the biologics provision intact. "The biologics are some of the most expensive drugs on the planet," Blumenauer said. Late last year, the three countries signed their revamped deal, the U.S.-Mexico-Canada Agreement. But it wouldn't take effect until their three legislatures all approved it. In the meantime, the old NAFTA remains in place. The question now is: Are Democrats prepared to support a deal that addresses some of their key objections to NAFTA and thereby hand Trump a political victory? Some Democrats have praised the new provisions that address auto wages, though many say they must be strengthened before they'd vote for the USMCA. Protection for drug companies is another matter. Many Democrats had protested even when the Obama administration negotiated eight years of protection for biologics— from cheap-copycat competitors called "biosimilars" — in a 12-country Pacific Rim trade pact called the Trans-Pacific Partnership, or TPP. Trump abandoned the TPP in his first week in office. But the pharmaceutical industry is a potent lobby in Washington, and Trump's negotiators pressed for protection for U.S. biologics in the new North American free trade deal. They ended up granting the drug companies two additional years of protection in the pact. Supporters also note that existing U.S. law gives makers of biologics 12 years' protection. So the new pact wouldn't change the status quo in the United States, though it would force Mexico to expand biologics' monopoly from five years and Canada from eight years. 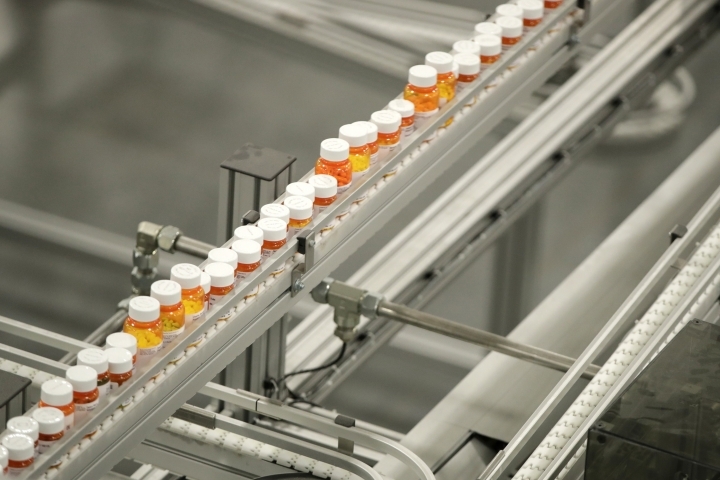 In fact, supporters of the biologics monopoly argue that the pact might cut prices in the United States because drug companies would no longer face pressure to charge Americans more to compensate for lower prices in Canada and Mexico. But critics say that expanding biologics' monopoly in a trade treaty would prevent the United States from ever scaling back the duration to, say, the seven years the Obama administration once proposed. "By including 10 years in a treaty, we are locking ourselves in to a higher level of monopoly protection for drugs that are already taking in billions of dollars a year," said Jeffrey Francer, general counsel for the Association for Accessible Medicines, which represents generic drug companies. "The only way for Congress to change it is to back out of the treaty ... Does the United States want to be in violation of its own treaty?" For Democrats, higher drug prices are shaping up as a powerful political argument against approving the president's new North American trade deal. In December, Stanley Greenberg, a leading Democratic pollster and strategist, conducted focus groups in Michigan and Wisconsin with Trump voters who weren't affiliated with the Republican Party. Some had previously voted for Barack Obama. Others called themselves political independents. They're the kinds of voters Democrats hope to attract in 2020. Greenberg said he was "shocked" by the intensity of their hostility to drug companies — and to the idea that a trade pact would shield those companies from competition. "It was like throwing a bomb into the focus group," said Greenberg, who is married to DeLauro. He said the voters' consensus view was essentially: "The president was supposed to go and renegotiate (NAFTA) so that it worked for American workers. But it must be that these lobbyists are working behind the scenes" to sneak in special-interest provisions. "Democrats have no incentive to do this," said Philip Levy, a senior fellow at the Chicago Council on Global Affairs and a White House economist under President George W. Bush. "Before you know it, the presidential election season is going to be upon us." "Lighthizer and his team are very creative," said Blumenauer, chair of the House trade subcommittee. "This is something that can be handled."